ZillowSome of the classic curb appeal elements of this house in Dallas include pavers of various shades. 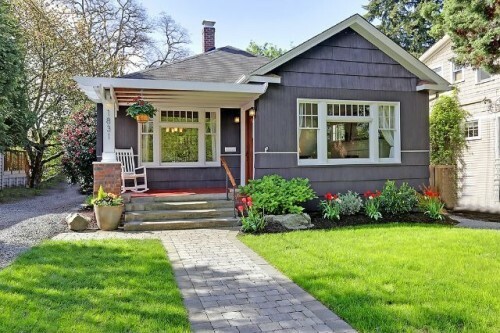 Whether you're after a classic or modern-style home, you want to be wowed from the curb. Here's a look at a few high-end listings that make a strong first impression. The best part: These ingredients for curb appeal can be replicated with any home in any price range. Home facts: 6 bedrooms, 6 baths, 5,198 square feet. Ingredients for curb appeal: White fence and matching white trim, wrap-around porch, flower boxes, manicured garden. 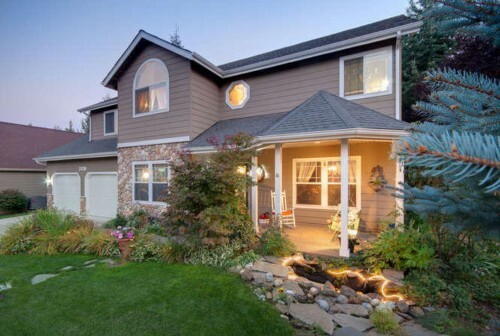 Home facts: 3 bedrooms, 4 baths, 3,900 square feet. 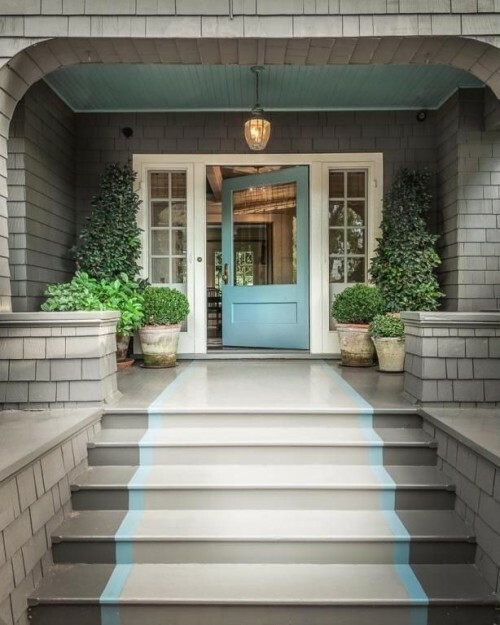 Ingredients for curb appeal: Blue door with matching steps and porch ceiling, potted plants of varying heights, pendant light. Home facts: 4 bedrooms, 5.5 baths, 7,335 square feet. Ingredients for curb appeal: Contemporary door hardware and sconces, pavers of varying shades, columns, porch light. Home facts: 4 bedrooms, 3.5 baths, 3,795 square feet. 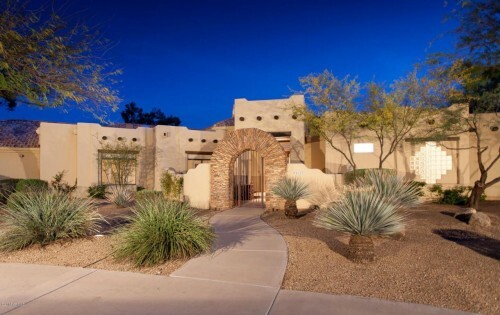 Ingredients for curb appeal: Landscaping suited for the Southwestern architectural style and climate, archway leading to front door. Home facts: 3 bedrooms, 3 baths, 2,560 square feet. Ingredients for curb appeal: Tasteful garden and hanging plant, front porch with rocking chair, mowed lawn, bright white trim. Home facts: 5 bedrooms, 5 baths, 5,028 square feet. Ingredients for curb appeal: Manicured hedges, dark wood door contrasted by light trim, flower pots and windows framing the door. Home facts: 5 bedrooms, 3 baths, 3,996 square feet. Ingredients for curb appeal: Front porch with sitting area, landscaping with lighting, stone path cutting through the grass.